The public library in Gifhorn was having a book sale. I was ready to spend some Euros but I didn’t find anything on this visit. It’s been a couple of years since I’ve visited the Graff bookstore in Braunschweig and to my delight, they’ve added a café. 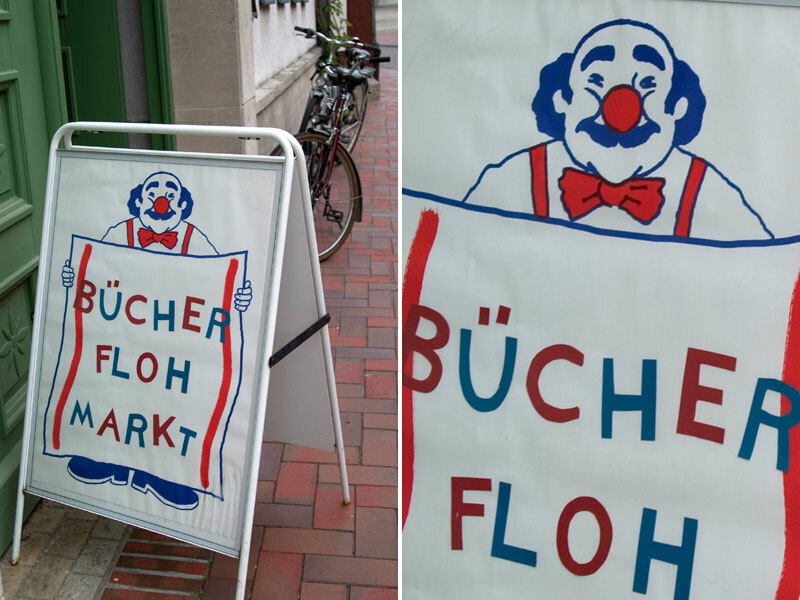 Now I can enjoy their bucher in englischer sprache section and some coffee. 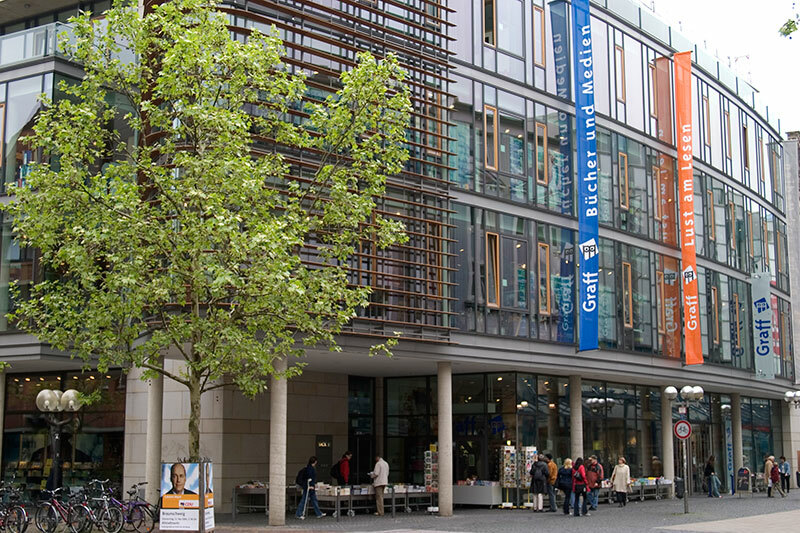 If you are ever in Braunschweig do stop by this bookstore located in the city center and check out their English language books. 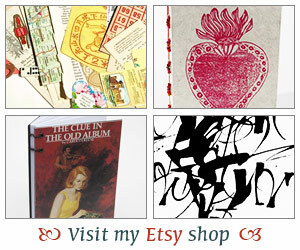 Whether you are looking for mysteries, fiction or the latest bestseller, they have a good selection of British imports. I also enjoyed a couple of days in Hannover, the capital of Niedersachsen. 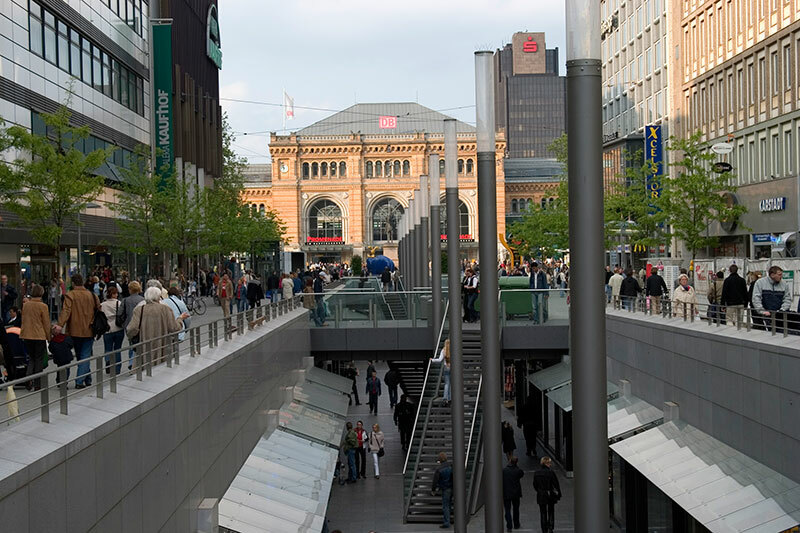 The Hauptbahnhof is right at the north-eastern end of the city center. You can spend much of the day just going in and out of the stores in the pedestrian area. 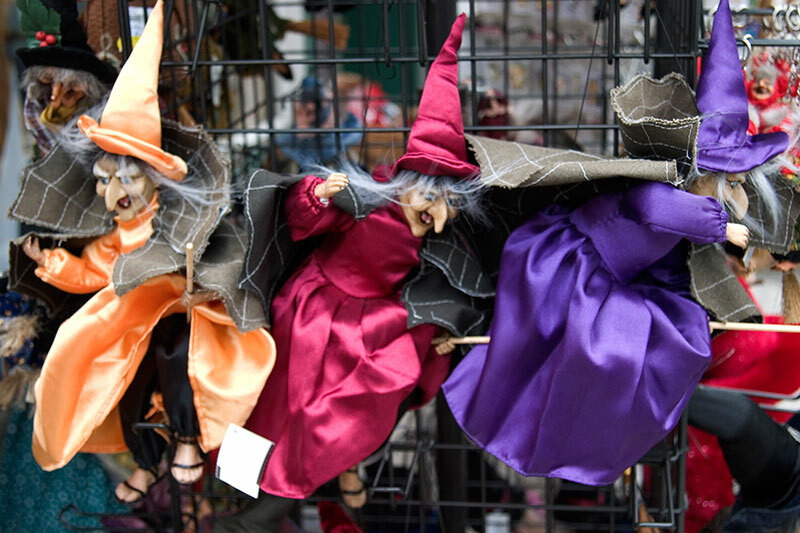 Not quite but you will find a lot of pictures of witches, witch dolls and all sorts of other witch paraphernalia when you visit the Harz Mountains. Situated between former West and East border, these mountains are steeped in folklore, myths and beauty. 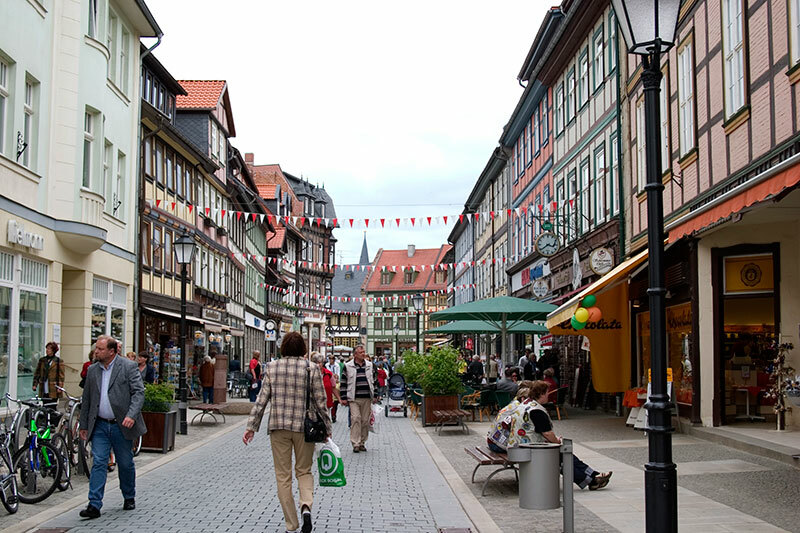 There are many towns surrounding the Harz Mountains and one place we stopped on our day trip was Wernigerode. 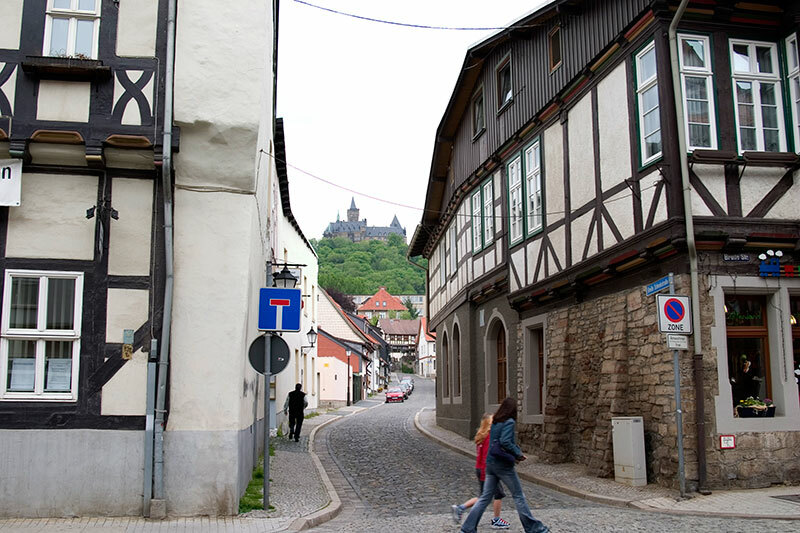 This historic town has some 1,000 half-timbered homes spanning 5,000 centuries. We found many gift shops, specialty stores, and bakeries in the city center. 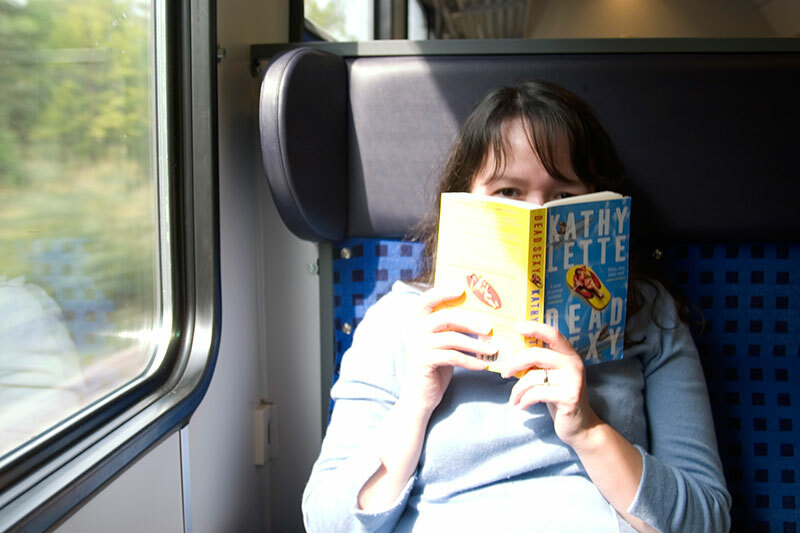 I came away with a bookmarker from one bookstore and sampled the currywurst at one of the many cafes. 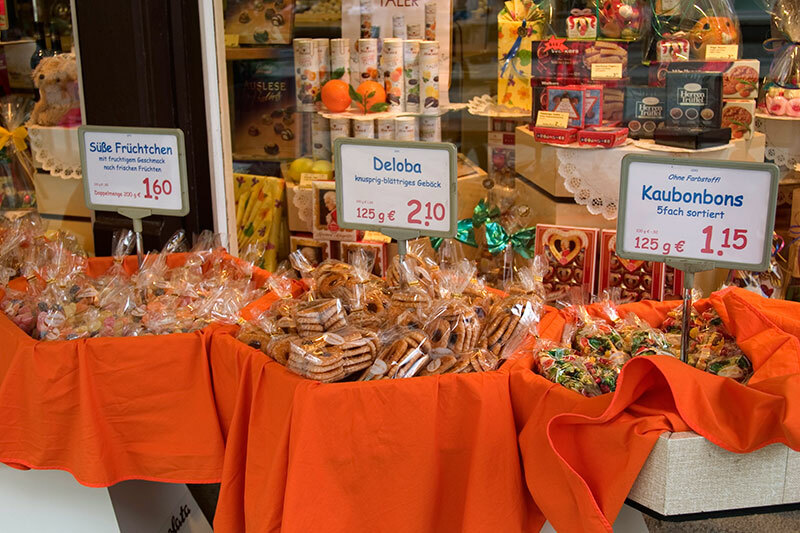 Pictures of city life in Germany would not be complete without photos of candy displays. With all the walking we did, I figure a few Schokobons or Milcha chocolates wouldn’t be much of an indulgence. 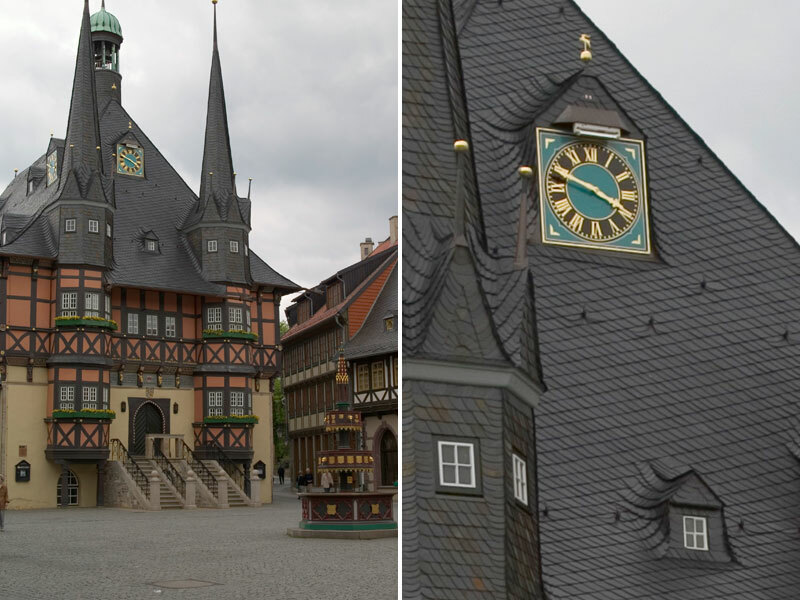 The Rathaus in Wernigerode actually began life as a theater around 1277. See up ahead the Schloss. The Wernigerode castle was built in the 12th century. I love how you can be walking among tourists and locals lost in the day-to-day bustle but if you pass up one of the winding streets and look up to the Castle you can be transported to another era, another time just by looking at the fairy-tale façade of the castle. Anyone who knows me knows that I don’t like to drive. I love taking the train. I can read, catch up on my journal writing or simply stare out at the passing scenery.